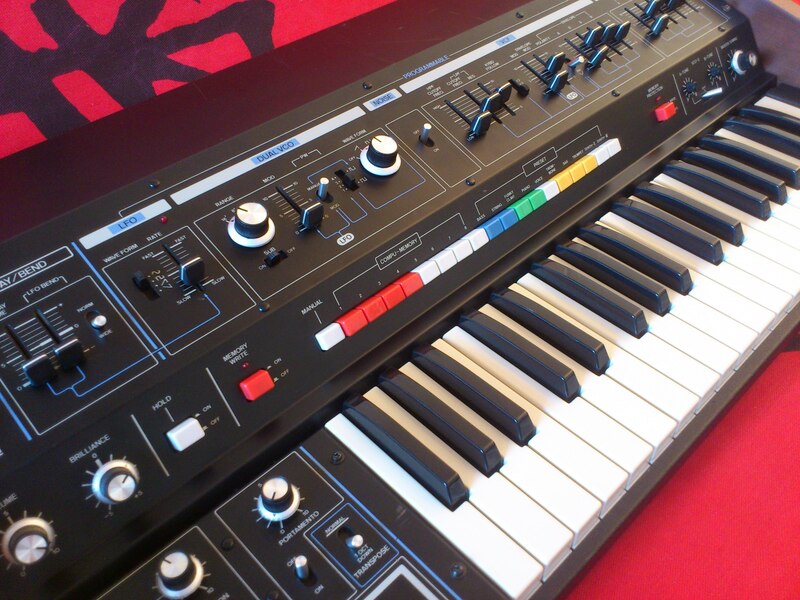 Offered is the Roland Promars Compuphonic Synthesizer (MRS-2). 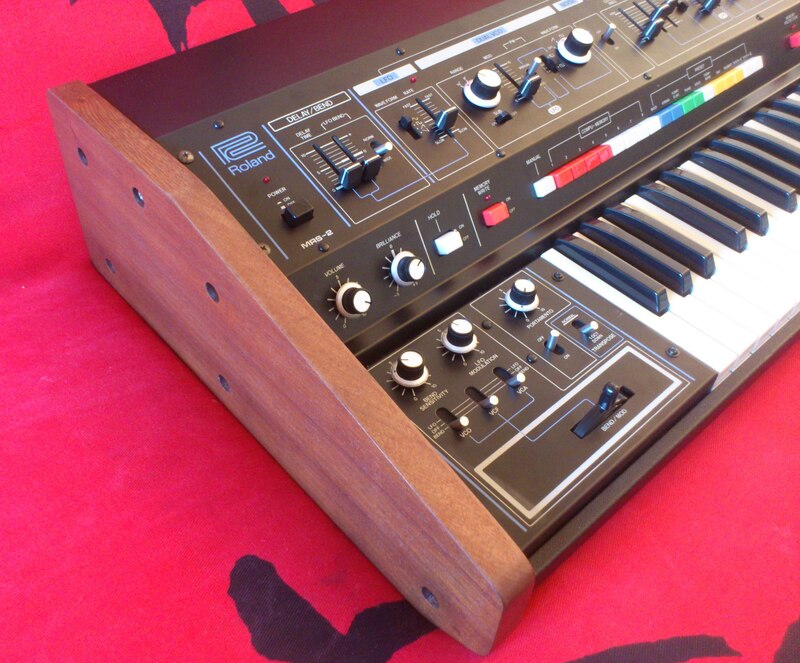 This analogue duophonic synthesizer is in excellent cosmetical and and mechanical condition. There are some scratches on the panel but overall this synth looks great. 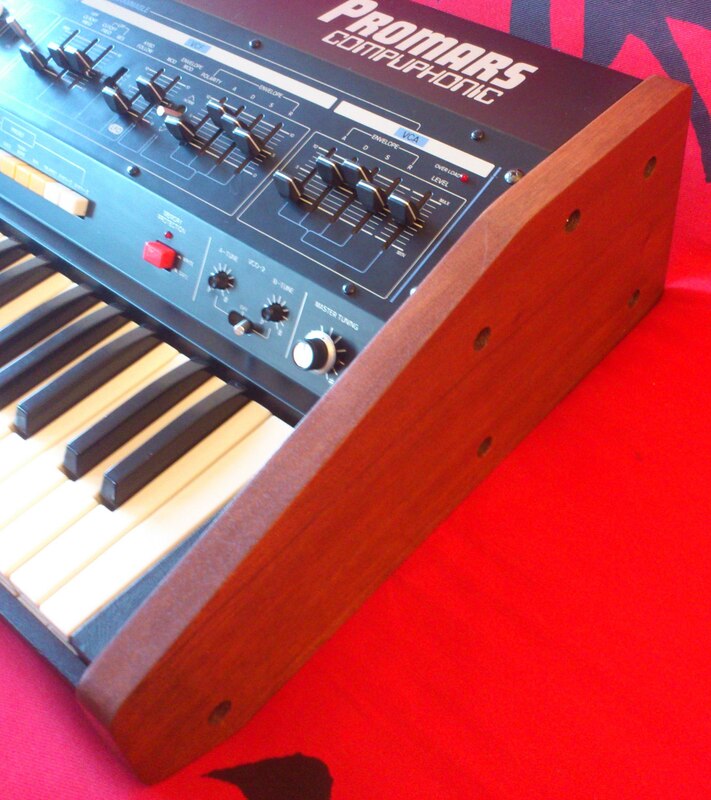 Especially with the new wooden sides which give the Promars the classy look it deserves!! This Promars has been completely serviced. The battery backup has been replaced by a new one, all electrolyctic capacitators are replaced by new ones, all knobs, keys, faders,..have been thoroughly cleaned. For more info check the service certificate next to the pictures. I hooked it on a Korg SQ10 to test the CV/gate and it sounds incredible!! It is a 100V. synthesizer so a adapter will be needed to be able to use it inside the EU. (also read the certificate for more advise on ideal power conversion). 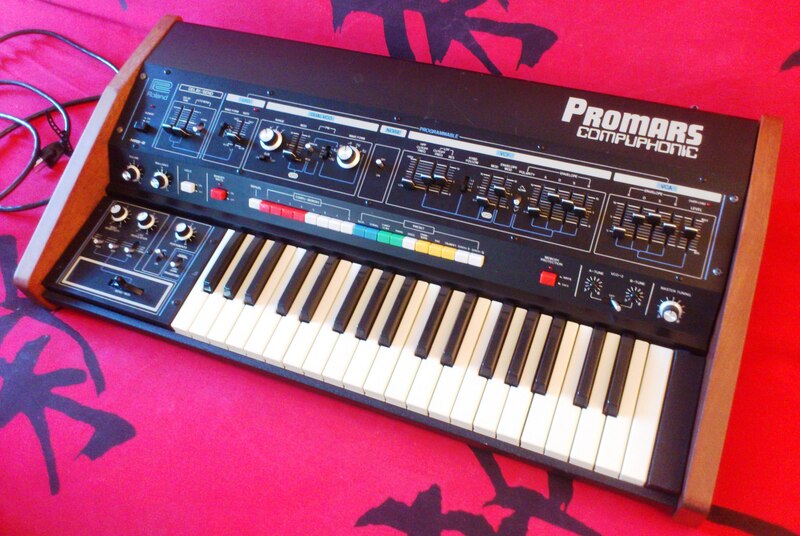 The Promars is the little brother of the Jupiter 4. One can say it's the duophonic version of the Jupiter 4. It has 10 selfmade preset sounds and 10 pre-programmed preset patches. These preprogrammed sounds include Bass, String, Clavi, Piano, Voice, Trombone, Sax, Trumpet, Synth I and Synth II. A very standard and well laid out set of knobs, sliders and edit controls give you the power to create some really cool sounds. There are two individual VCO oscillators that can be (de-)tuned, an incredible VCF filter with its own ADSR, a VCA envelope section, an LFO for modulation, and a pitch/mod wheel that can effect the LFO, VCF or VCA. And offcourse it has a noise generator. To complete this story, it has CV and Gate in/out, so a midi to CV converter can be used to add some midi functions to this synth. To be short, a very versatile and amazing sounding analogue synthesizer that can be used with confidence for many years! !